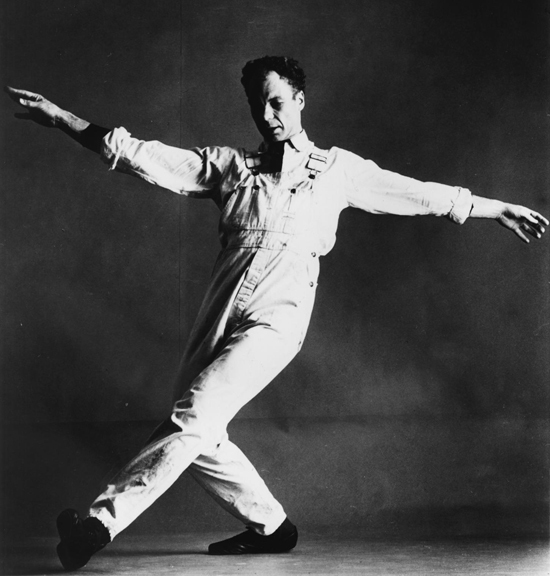 Merce Cunningham, whose revolutionary dances have been sending shock waves through the art world for almost thirty years, will once again startle audiences when the Merce Cunningham Dance Company presents three new works during its two week season at City Center, March 17-29. The Company’s opening night will be celebrated with a special Gala Benefit that will be highlighted by the premiere of a new work by Mr. Cunningham (music and décor to be announced) and performances of “Fractions,” “Roadrunners,” and “Tango,” a solo for Mr. Cunningham. Julie Harris, Louis Nevelson, and Jasper Johns are honorary chairpersons of the evening. The season will also include the New York premiere of “Fielding Sixes,” which received rave reviews when it was first performed during the Company’s engagement at the Sadler’s Wells Theatre in London last June. “Fielding Sixes” will be first shown on March 19. The music is by John Cage and design by Monika Fullemann. On March 24 the Company will present the staging of a new work which Mr. Cunningham created first for video as part of his most recent collaborative project with film-maker Charles Atlas this past winter. Mr. Cunningham and Mr. atlas had also collaborated on “Fractions,” and “Locale.” The music for the new work will be by David Tudor. Following its City Center season the Cunningham Company will leave for Minnesota for a month-long residency (April 6- May 3) as part of the Dance Touring Program. In addition to offering film showings, talks, composition workshops and master classes throughout the state, the Company will perform in Duluth (April 18); St. Cloud (April 22); Minneapolis (April 25); St. Joseph (April 30); and Minneapolis (May 2). After leaving Minnesota, the Company will travel to Columbus, Ohio for a 2 ½ residency at Ohio State University. On May 17 the Company will leave for a month’s tour of Europe that will include performances in Portugal, Switzerland, and England. Tickets for the Cunningham Company’s City Center season are $20, $16, $14, $12, $8 for Tuesday, Wednesday, and Thursday evening performances and Saturday and Sunday matinees. Tickets for Friday and Saturday programs are $22, $18, $15, $12 and $8. Opening night is at 7:30 pm; all other evening performances are at 8:00pm. Matinees are at 2:00 pm. Ticket reservations and information are availalble by calling (212) 246- 8989. The City Center Box Office opens on February 23. City Center is located at 131 West 55th street.